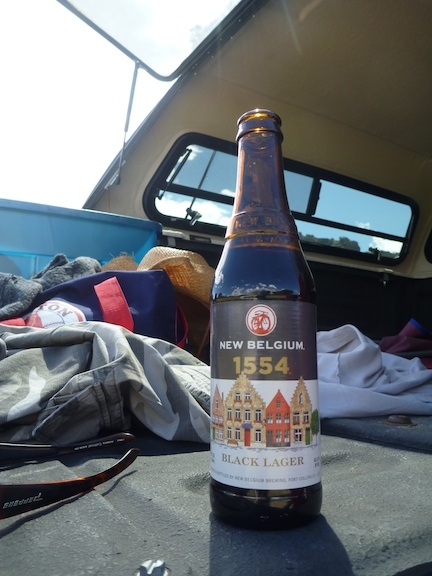 Some friends left a couple bottles of New Belgium 1554 in the fridge last week, and man I had forgotten how much I like that beer! For some reason I never buy it, but it’s right up my alley, dark, not bitter and drinkable. This past weekend Aimee and I headed down to the Gunnison west of Gunnison for some serious trout fishing. 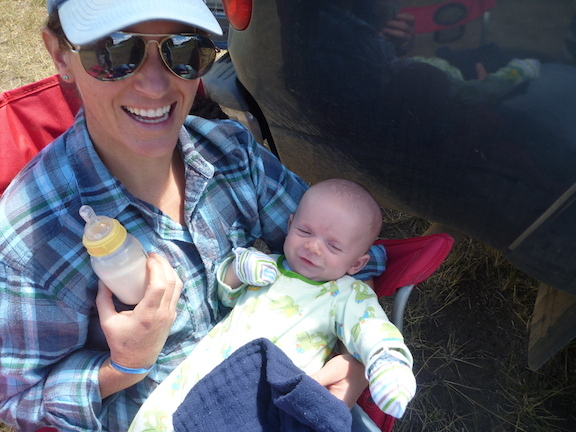 We figured it would be a good place to take George since there is plenty of shade and not too many people. 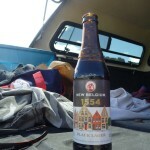 I also brought some 1554. It was supposed to be warm and kicking back with a cold beer while George relaxed, ate or played sounded like the ticket! 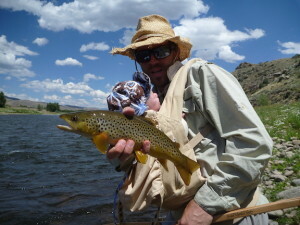 The day turned out to be incredible, the fish were biting, the beer was tasty and George had a great day. 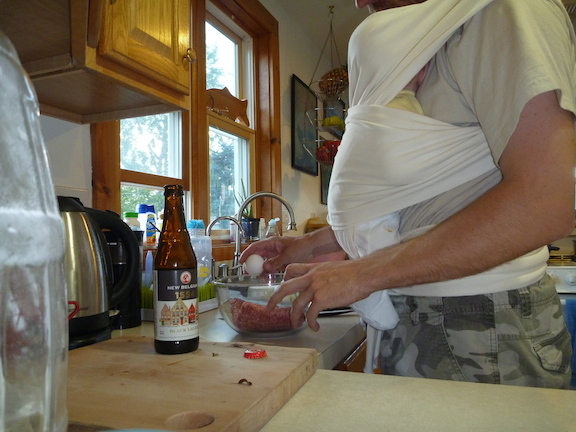 Later that night Aimee was stuck in a meeting so George and I put together dinner. Nothing fits father son bonding like burgers and corn on the grill! 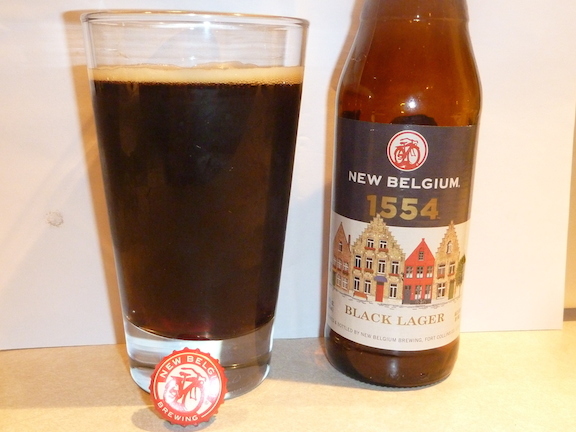 Overall 1554 is smooth, drinkable and a darn good dark summer beer. Next time I’ll try to remember how much I like it. Appearance: A very dark amber, clear but dark enough that you can’t see through it. Small cream/tan colored head that dissipated quickly to about 1/8 inch and then remained. Nice lacing on the glass. Smell: Slightly sweet and toasty. Not a strong smelling beer. Taste/Mouthfeel: Starts slightly bitter, has a nice toasty malt middle with a very slightly bitter aftertaste. Not super complicated. Overall: An easy drinking sessionable black lager. 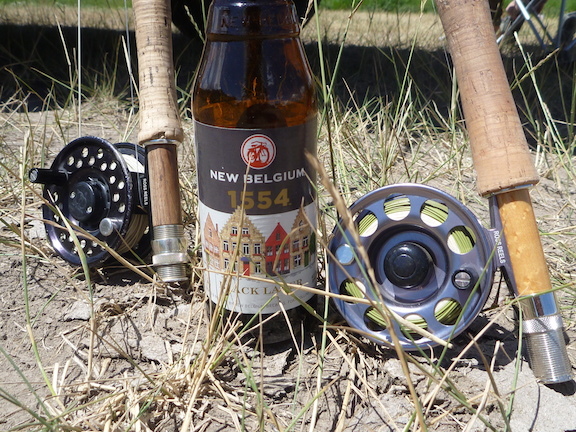 If your looking for something besides the typical lager in the heat of summer grab a 1554, it’s tasty and refreshing. This entry was posted in George, River Brew Review and tagged Beer, George, Lager, River Brew Review. Bookmark the permalink.